Decide on the neighborhood you want to visit and the time you want your 2-hour bar-hopping tour to begin. Meet your local guide at a nearby train station and together make your way to the first izakaya, away from the typical tourist spots. 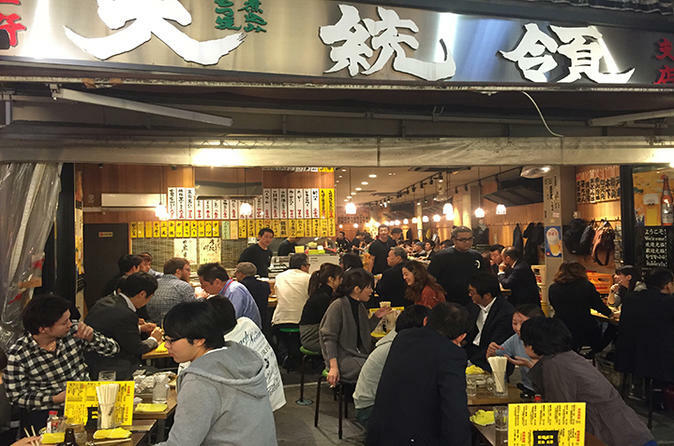 Whether it's a street-seating or standing-only bar, or even a bar so tiny you have to squeeze in, enjoy tasty snacks and drinks (two drinks and one dish, or one drink and two dishes) ordered by your guide from the Japanese-only menu. Learn about local tradition, culture, and food, and enjoy what is sure to be a memorable experience. At the end of the tour, accompany your guide back to the nearest station where, full of cheer and feeling a little more like a local, you say goodbye. Please note: The starting time is flexible and can be arranged upon your request. However, there may be waiting time to secure seats later in the evening, as most local bars do not take reservations.